With guest comfort and convenience being at the centre of the reconstruction, the hotel’s original 525 rooms and suites have been reduced and reimagined to just 230 suite-style rooms, each offering a separate bedroom, living room, bathroom and dressing room. With standard room at an average of 65 square metres, the standard rooms are now the largest in Beijing, and among the most spacious in China. They are also the most personalised guestrooms in the world, with proprietary in-room technology delivering 11 languages at the touch of a fingertip, and paperless hotel and city information and services just a click away. Each room has its own self-contained ample dressing area with a valet box and nail dryer, while guests also have the added benefit of complimentary VOIP calls and WiFi. The Peninsula Beijing takes suites to the next level of space and freedom. A collection of 61 suites offers inspired design and technological innovations to become the most sought-after guest accommodations in Beijing. 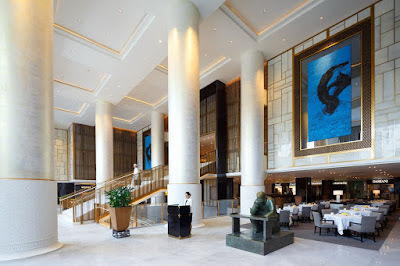 In fact, suites comprise 25 percent of the hotel inventory – the highest percentage in The Peninsula group, and among the highest percentage for a luxury hotel in Beijing. The hotel’s stunning theme suites include The Peninsula Suite – styled after a Chinese aristocrat’s home – and 17 reimagined Beijing Suites, while the Loft collection of duplex rooms offers a chic and sophisticated twist on urban living. A loft-style collection of duplex rooms on the top floor of the hotel offers a chic and sophisticated twist. Unique in China, the duplex rooms are 69 square metres in size and feature floor-to-ceiling windows, affording expansive views over Beijing from the master bedroom upstairs, and from the entry lobby and living room downstairs. 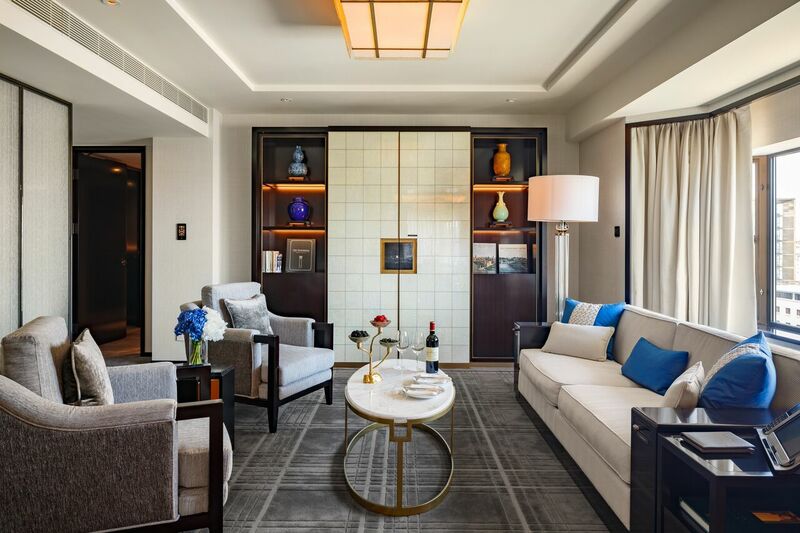 Combining two original suites to become 165 square metre residential-style spaces, the 17 Beijing Suites feature large living and dining areas, together with private dressing rooms adjoining the master bedroom. A private cinema room in each suite offers the possibility of relaxing with a latest release or catching up on old favourite in privacy and comfort – perfect for taking a break from sightseeing and ideal for families travelling together. Time is luxury for the modern traveller, and The Peninsula Beijing is one of first hotels in China to offer a 24-hour check-in and check-out service to all of its guests, meaning guests can arrive and depart at their leisure without extra cost. The seamless check-in process is personally managed in each guest room or suite without guests having to wait at a reception counter or front desk. Exquisite artisanship is a highlight of each room. Using Forest Stewardship Council-certified sustainable mahogany and high-gloss finishes, the exclusively commissioned furniture was hand-finished by Italian company Cassina, a century-old Italian design house whose contribution to the glamour of travel includes custom-creating furnishings for luxury cruise ships. Family guests can relax together with bespoke in-room amenities and baby products provided through an exclusive partnership with Norwegian baby brand Stokke, adding comfort and convenience for babies, toddlers and parents in a home away from home. Investing in hotel designs that stand the test of time is a key philosophy of The Peninsula Hotels. With this vision in mind, The Peninsula Beijing Lobby has been crafted to mirror Beijing’s modern transformation. 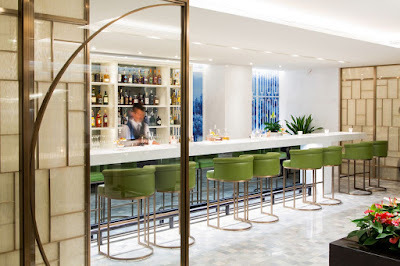 The existing area has been reconfigured to create a grand three-storey Lobby, which is a Peninsula signature in its 10 hotels around the world. A deep-rooted respect for the rich imperial history of Beijing, and the symbolisms imbued in its finest palaces and mansions, provides a refined sense of the destination for all guests. Luxurious materials such as bronze, onyx (jade), white marble and rosewood (zi tan wood), which ornamented the ancient structures of Beijing in the Ming and Qing Dynasties, such as The Great Wall, The Forbidden City and The Summer Palace, are used on every floor of the hotel. Carefully selected for their enduring qualities and their intrinsic beauty, these elements create an ageless sense of grandeur, elegance and timelessness. The Imperial hexagon is a recurring theme. The 160,000 hexagonal motifs are partially inspired by a tortoise shell, which represents longevity in Chinese culture, and the peony flower, denoting prosperity and honour. The six pillars in The Lobby, which add formality and substance to the palatial space, are carved from white marble (han bai yu), which was used in the palaces of The Forbidden City. The floral emblems on the pillars are hand-carved in a hexagonal pattern. The hexagon is also visible in the bronze work on the main staircase, in the upper areas of The Lobby and in the open spaces surrounding the function rooms. The Lobby features 3,500 individually chosen pieces of Palissandro marble, which is highly valued by designers. Every piece features subtly different vein colours, ranging from cream to cool grey, set to elegant perfection with a natural gold glitter. Using a complex specialised process, each piece was handpicked to create a “book mark” effect. The clean white onyx and cool grey floor contribute an ambience of lightness and rejuvenation to grand The Lobby. Using China’s finest artisans to showcase some traditional arts erected in a contemporary fashion as a showcase of Chinese artisans and celebration of the long tradition of refinement and sophistication. Chinese inspirations are extended through to all parts of hotel and included in the guestrooms with subtle references throughout. Goldfish are considered lucky in Chinese mythology. During the Qing Dynasty – China’s last dynasty – the Na family inspired Chinese high society with its sizable mansion and beautiful Imperial-style garden, located in Wangfujing (Goldfish Lane) directly opposite to where The Peninsula Beijing now stands. In a tribute to this exceptional location, the goldfish, which represents abundance and prosperity in Chinese culture, is prominently featured in carvings and mosaic artwork in the hotel’s guestrooms and suites. The Peninsula Hotels support innovative public art around the world. By partnering with art museums, galleries and private collectors, guests can experience up close pioneering works by established masters and emerging artists. With an explosion of interest in Chinese contemporary art in the past three decades since the hotel first opened, The Peninsula Beijing is perfectly positioned to showcase the very best of Chinese art to guests. 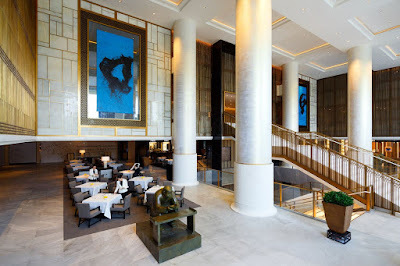 The hotel collaborated with Michael Suh, Executive Director at the Museum of Contemporary Art in Beijing, and designer Henry Leung, to incorporate a museum-quality collection of specially commissioned paintings, sculptures and installations into the hotel design. To indulge guests and residents into the hotel, Art has been thoroughly integrated into the design to create a three dimensional experience and also to create an open and welcome yet grand entrance. An outdoor installation of nine granite pieces resembling turtles by British sculptor Jon Isherwood graces the forecourt. Adding an international touch to the arrival experience, the artwork evokes the transition from journey to relaxation. Guests enter The Peninsula Beijing through the hotel’s signature pailou Chinese archway, which was originally reserved for royalty to pass beneath. Refreshed and repainted, the archway welcomes guests in traditional style, and invites them to enter the grand lobby and discover the hotel beyond. Upon entering The Lobby, hand carved onyx “Spirit Wall” conceived by artist Belinda Chow offers a glimpse into a typical Beijing courtyard home. Incorporating feng shui elements to repel negative spirits and encourage health and prosperity, these screens were traditionally used for privacy and to reflect the owner’s social status. The Spirit Wall has two distinctive sides, with carvings representing the four seasons, including lotus, bamboo, plum and orchid, all of which are revered for their auspicious symbolism. 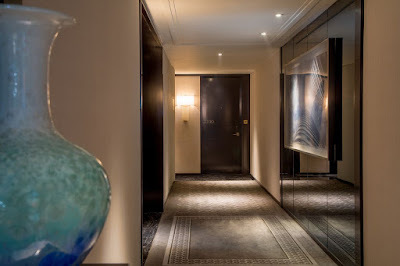 Adorning The Lobby are two five-metre-high abstract ink paintings on each side of the grand staircase with bold strokes depicting the sun and moon, and symbolising eternity and the creativity of the universe, on a cobalt blue background. The artist, Qin Feng, is considered a leading light of China’s contemporary avant-garde art movement, and the paintings are among the largest pieces he has been commissioned to create. 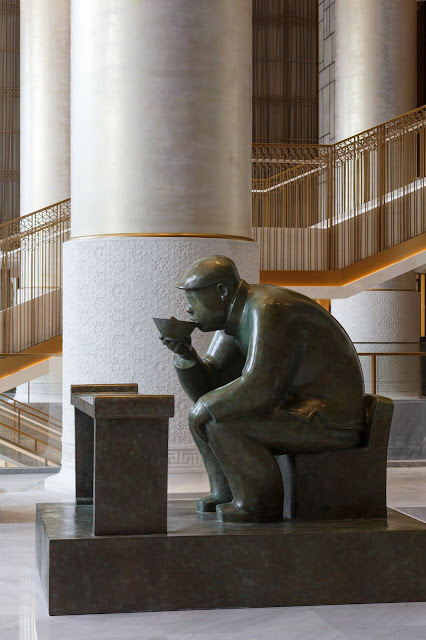 Chinese cultural elements are embraced with Zhang Du’s two bronze sculptures of tea drinkers, which also represent The Peninsula Afternoon tradition in The Lobby. Bronze has been used to craft sculptures in China for thousands of years, and the pair of tea-drinkers was designed specifically for guests to interact with and touch. The artistic theme extends into the hotel’s spacious guestrooms, which are styled in graceful shades of cream and white, with an art wall featuring hand-embroidered Chinese floral blossoms integrated into the wallpaper. The walls feature a blue-and-white painting inspired by Ming Dynasty porcelain, by artist Kong, plus photos of Beijing’s modern architectural masterpieces, including the CCTV Tower, Bird’s Nest Olympic Stadium and Water Cube, shot from abstract angles by young Chinese photographers. Specifically designed to nurture emerging artistic talent, The Peninsula Beijing’s Art Residency programme is the first of its kind in a luxury hotel in China. The programme is hosted in conjunction with MoCA Beijing, and enables aspiring artists to live and work for three months in the heart of Beijing, the epicentre of China’s contemporary arts scene. Each resident artist can take advantage of a purpose-built studio and guestroom on the 14th floor, and the artworks created during their stay will be exhibited in a new gallery on the third floor. Guests can visit the studio to see the artist at work, and exclusive art dinners and themed events will be held. The hotel will also showcase Beijing’s flourishing arts scene through The Peninsula Academy’s exclusive art tour experiences, or jade appreciation class for guests. The new “Keys to the City” programme, which offers the best tables at exclusive restaurants and front-row seats at the opera, also organises out-of-hours guest visits to the most exclusive art galleries, and a special afternoon tea experience in an art gallery. Four newly styled restaurants and lounges celebrate the unique Chinese heritage of The Peninsula brand and the historic integration of fine craftsmanship into Beijing dining scene. The Peninsula Beijing’s talented team of nearly 90 Chinese and international chefs is helmed by French-born Executive Chef Dominique Martinez, who previously worked at Michelin-starred restaurants in Luxembourg, Germany and Barbados. With sustainability and high-quality produce being at the heart of The Peninsula’s culinary philosophy, the hotel’s chefs have travelled across China and worldwide to source the finest ingredients to enhance each dining experience in the sumptuous new restaurants. Embracing the “farm-to-table” concept, the hotel works directly with 22 farms in China that supply sustainably produced, predominantly organic vegetables, fruit, meat and honey on a fresh, seasonal basis. All of the farms are fully certified by either the Chinese or the US Government, and the chefs from each restaurant visit every farm on a regular basis to ensure the provenance and quality of the ingredients. The Peninsula Beijing’s own onsite greenhouse cultivates fresh herbs used to garnish many of the signature recipes crafted by the hotel chefs. Key addition to the renovation is the new Lobby restaurant occupying the pride of place in the new enlarged Hotel Lobby which serves a wide selection of international favourites, plus the celebrated Peninsula Afternoon Tea. The Peninsula Beijing’s international restaurant, Jing, has been re-imagined as a contemporary “Farm-to-Table” venue, inspired by a secret Chinese garden. Spanish Chef Alberto Becerril seeks to create memorable dining experiences for guests by preparing inventive seasonal flavour and texture combinations using predominantly organic produce. Jing’s design also showcases a contemporary Chinese design, featuring up to 10 art works from Chinese leading artists. The signature Huang Ting, Chinese restaurant, which originally opened in 2008, recreates a traditional Beijing nobleman's courtyard home. The brand new menu emphasises Cantonese cuisine embellished with fresh, seasonal ingredients. The new Huang Ting Tea Lounge, adjacent to the main restaurant, is styled like an ancient palace with Ming Dynasty-era tables and parasols. It serves more than 50 varieties of premium Chinese teas and sweet dim sum, and the resident tea master will offer seasonal samplings and tastings theatrically prepared in front of guests in the style of a traditional Chinese tea ceremony. For guests seeking to relax and rejuvenate in ultimate style, The Peninsula Spa and Fitness Centre presents a qualified physiotherapist who uses elements of Traditional Chinese Medicine to provide guests with personal fitness and health guidance rooted in Chinese wellness philosophy. Later, in 1981 HSH was invited by the Chinese Government to manage China’s first internationally managed joint-venture hotel, the Jianguo Hotel. Originally designed by pre-eminent architect K.Y. Cheung, The Peninsula Beijing opened in 1989 as The Palace Hotel, and was rebranded as The Peninsula Beijing in 2006, always occupying a space as the finest luxury hotel in China and a pioneer of contemporary design and luxury. Construction of the new Peninsula Beijing began in late 2015, and the project has been completed in phases to keep the hotel operational throughout the renovation period, making the magnitude of this project larger than any other that the group has undertaken. 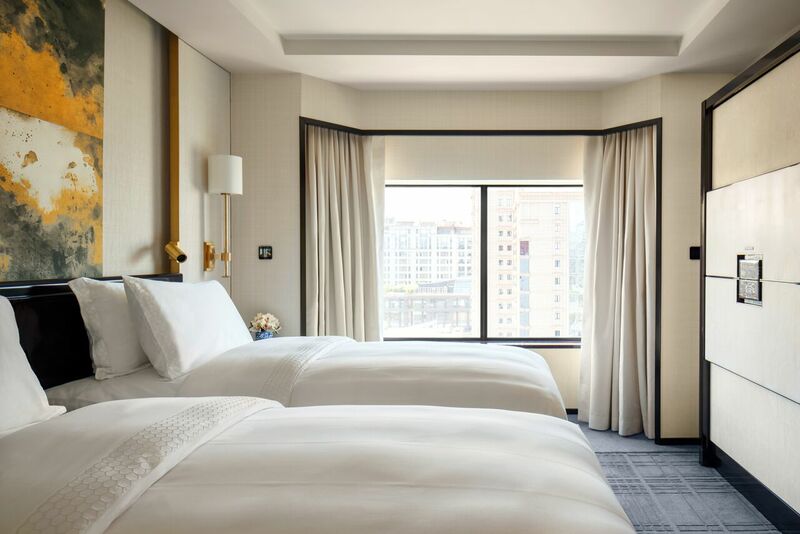 More than 600 workers were on site at the hotel during peak construction times, and more than 40 suppliers, designers, artisans, engineers and contractors came together to deliver this stunning transformation. The first allocation of restyled rooms will be available to guests in August 2016, and the hotel renovation will be fully completed in early 2017. • Inspired by the grand interiors of Beijing’s Forbidden City and Summer Palace, distinctive Chinese design elements throughout the hotel include gold leaf, zi tan wood, bronze, onyx, Chinese jade and marble – all materials synonymous with grandeur and luxury. • Used to symbolically embellish imperial Chinese palaces, 160,000 hexagonal motifs reference the pattern on a tortoise shell, as the tortoise represents longevity in Chinese culture. The hexagon is a significant design feature throughout the hotel’s new design and artworks. • In true Peninsula style of meticulously attending to the smallest details, the hexagon also makes an appearance on the new Mandarin-collared staff uniforms, which were designed by French fashion designer Caroline Deleens, base in Beijing. • A traditional Spirit Wall at the entrance to The Lobby was hand-carved from onyx (known as white jade, or Han Bai Yu) in the town of Qu Yang, Henan Province, a four-hour drive from Beijing, where the history of stone carving dates back more than 2,000 years. Known as the Home of Stone Carving in China, Qu Yang is revered for its unique sculptural style incorporating imperial and natural symbols. White jade is favoured for its translucent quality, which enables carved motifs to gain extra prominence, and is traditionally hand-polished using special knives. 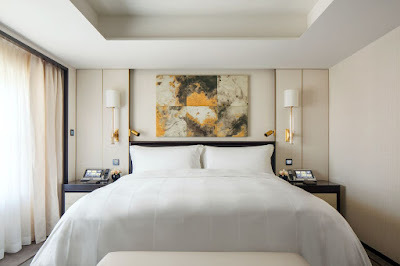 • In a feat of architectural and design flair, the previous 525 guestrooms were combined to create 230 elegant new rooms and suites, which start from 60sqm, making them the largest in Beijing, and among the most spacious luxury hotel rooms in China. • Used to craft the bespoke furnishings in the rooms and suites, zi tan (or red sandalwood) is a sub-tropical evergreen and a member of the rosewood family. Native to Yunnan, Guangxi and Guangdong Provinces, its auspicious purple hue, exquisite grain patterns and unique durability have made it a desirable material for decorative furniture and sculptural art since the Ming Dynasty. The lustrous satin-like finish on the surface created after waxing and polishing means it does not require varnishing. • The Lobby features 3,500 individually selected pieces of Palissandro marble. Revered by designers for its unique characteristics, every piece is subtly different and veined in soft hues from cream to cool grey. A natural gold glitter adds a delicate sheen to the elegant stone. • The Peninsula Beijing is one of the first hotels in China to offer 24-hour check-in and check-out for all guests. The seamless check-in process is personally managed in each guestroom or suite without guests needing to wait at a reception counter or front desk. • Goldfish are considered lucky in Chinese mythology. The hotel is located in Wangfujing (Goldfish Lane) at the cultural heart of Beijing. In a tribute to this exceptional location, the goldfish, which represents abundance and prosperity in Chinese culture, is prominently featured in carvings and mosaic artwork in the hotel’s guestrooms and suites. • During the hotel renovation, 110 staff from The Peninsula Bejing gained international experience by working for two months at The Peninsula hotels around the world. All Fitness Centre staff at The Peninsula Spa embarked on six months’ full-time training in yoga and Pilates. • The hotel’s chefs work directly with 22 farms, 19 of which are located near Beijing, that are all certified by the Chinese or the U.S. governments. Our chefs make regular visits to each farm to ensure that every single ingredient used is traceable, sustainable and proudly produced in China, a commendable first for a hotel in China. 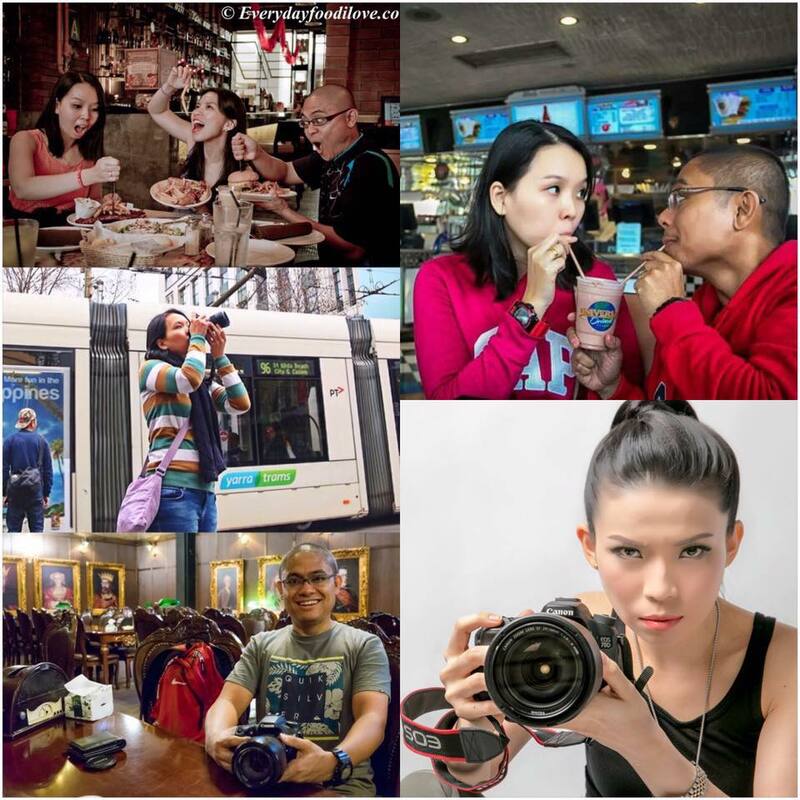 • A new guest programme entitled “Keys to the City” comprises a collection of carefully curated bespoke experiences offering insider access to Beijing’s most coveted attractions and locations, exclusively available to hotel guests. • Each of the 17 Beijing Suites features a mini private cinema room, with a 80-inch screen offering exceptional surround sound and visual quality, and furnished with luxuriously upholstered armchairs designed exclusively for The Peninsula by Cassina. • The prized wines in the hotel cellar will delight connoisseurs. The highest value wine is a 2011 Chateau Petrus, priced at RMB 49,000. The oldest vintage wines include Château Cheval Blanc, Premier Grand Cru Classé, AOC Saint-Emilion, France 1953 and Krug Collection 1982 (Magnum). The Peninsula Beijing is the first Krug embassy in China. • Our master chocolatier handcrafts 1,500 pieces of chocolate every week, weighing 15 kilograms, made with the custom made chocolate Valrhona couverture. 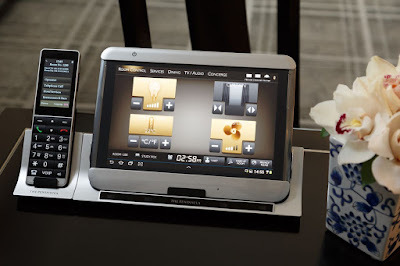 • Every guestroom features a bedside tablet with multi-charger capable of charging up to one tablet and two smartphones, and supporting all the latest phone connectors. 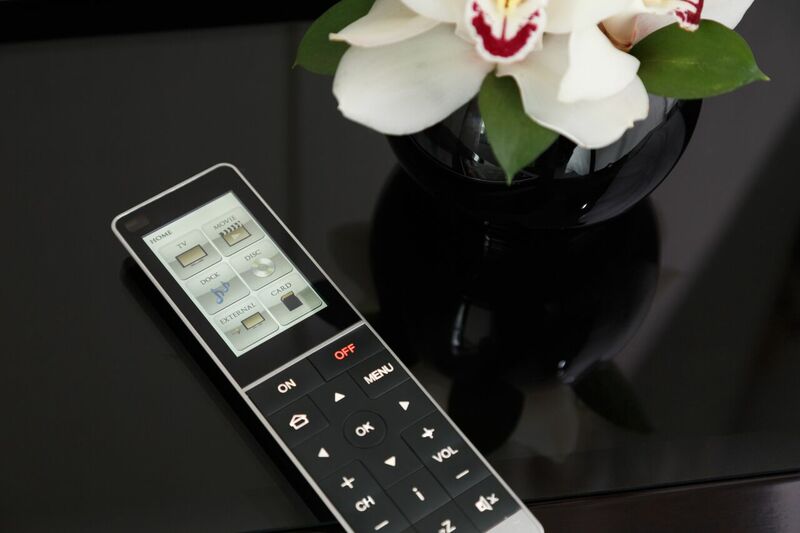 • Instead of a standard infrared transmitter, guestroom TV remote controls use radio frequency so that guests may easily change channels from anywhere in the room – even from the bathroom! • Some 487 litres of gin will be custom-produced and exclusively labelled for The Peninsula Beijing by Chase, an English company. • The private show kitchen at Jing features a unique Italian Molteni oven, one of the world’s most exclusive with only 100 pieces produced per year. It was assembled onsite by a Molteni technician who specially flew to Beijing to do so. • The greenery adorning the hotel forecourt will be re-landscaped twice annually to provide arriving guests with a visual reflection of the changing seasons of spring/summer and autumn/winter in the Chinese capital. • Yun rooftop terrace is the highest bar in the Wangfujing area of Beijing, offering 270-degree views of the neighbouring hutongs, the city skyscrapers and the mountains beyond. • Paying tribute to its loyal employees, The Peninsula Beijing has gone to great lengths to look after the wellbeing of its staff. 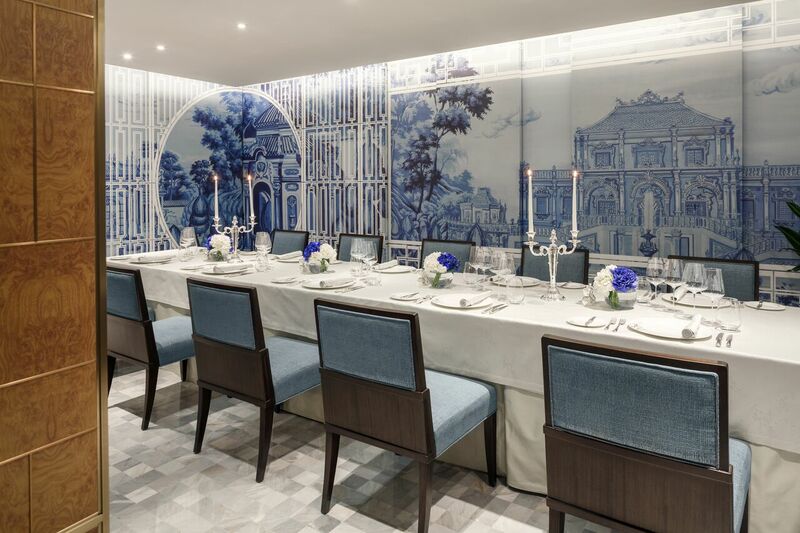 A brand new staff restaurant in the basement of the hotel offers a selection of sumptuous Chinese and Western dishes, including a noodle station, and an Internet corner. The dormitory is also being renovated, and soon will open a gym for the staff. The dragon is perhaps the most important of Chinese symbols for good fortune and protection, as the people of China hold a deep-rooted belief that they are descendants of the mythical creature. While many Western civilisations regard the dragon as a figure of destruction and malevolence, the Chinese hold it in the highest esteem for its strength, dignity and power for good. The phoenix motif has appeared in China for over 8,000 years, and continues to grace homewares, art, wedding decorations and contemporary Chinese fashion as a symbol of good fortune. One of the most prestigious creatures in Chinese culture, the legendary phoenix is said to have risen from its own ashes. Rich in symbolic meaning, the mythical bird is an embodiment of the four Confucian virtues – honesty, loyalty, justice and graciousness. The beauty of calligraphy transcends linguistic and international boundaries. Its movement and spirit can be compared to a written dance, with a continuous flow of rhythmic brushstrokes. In China, the style of one’s calligraphic writing is viewed as a window into an individual’s personality, intellectual standing and ability. The discovery of tea has been claimed by various historical figures and periods, but the most charming theory comes from the legend of Emperor Shen Nung. Around 2737 BC, Shen Nung was relaxing under a tree waiting for water to boil on an open fire when a few leaves drifted into the pot. The Emperor was so intrigued by the aroma wafting out of the pot that he decided to try it and was amazed by its refreshing qualities and wonderful flavour. The tender touch and patience that is required to develop different flavours and emotions in the cultivating, brewing and drinking of tea are virtues that all Tea Masters must have. Staying in ultimate style at The Peninsula Beijing means relaxing in classically decorated guestrooms and suites blending Chinese artisanship with international sophistication and flair. 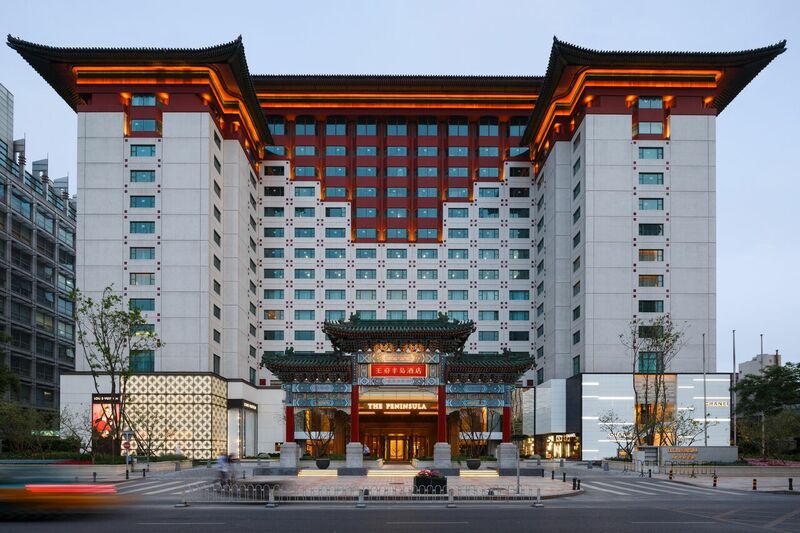 The hotel’s previous 525 rooms have been combined to create 230 stunning new rooms (including 61 suites) starting at a spacious 60 square metres, the largest luxury hotel rooms in Beijing and among the most spacious in China. As one of first hotel in China to offer a 24-hour check-in and check-out service to all of its guests, The Peninsula Beijing offers a seamless check-in process personally managed in each guest room or suite without guests having to wait at a reception counter or front desk. With guest comfort and eminence being at the centre of the renovation preference, the 60 square metre standard rooms have been reimagined “suite-style”, with separate bedroom, living room, bathroom and cloakroom. Seamlessly incorporating proprietary Peninsula technology and design, the new rooms at The Peninsula Beijing are the most personalised in the world. The guest experience is enhanced by fully customised in-room amenities, including bedside and desk tablets that can be pre-set in 11 languages to control all room functions, and gain access to room service menus, at a simple touch. Advice and tips on the finest Beijing dining, shopping and nightlife, the latest openings and special cultural events are also a fingertip away. Inspired by the interior of a luxury yacht, the new guestrooms are styled in graceful shades of crème. Reflacting Beijing’s status as the nexus of China’s vibrant arts scene, the walls are adorned with specially commissioned works by stellar Chinese artists. Bespoke furnishings designed by Henry Leung and hand-made using sustainable mahogany by Italian luxury furniture maker Cassina add a cultured sense of grace and refinement. The outsized bathroom styled in black and white veined marble offers a deep-soaking tub, rain-shower and deluxe bath products. 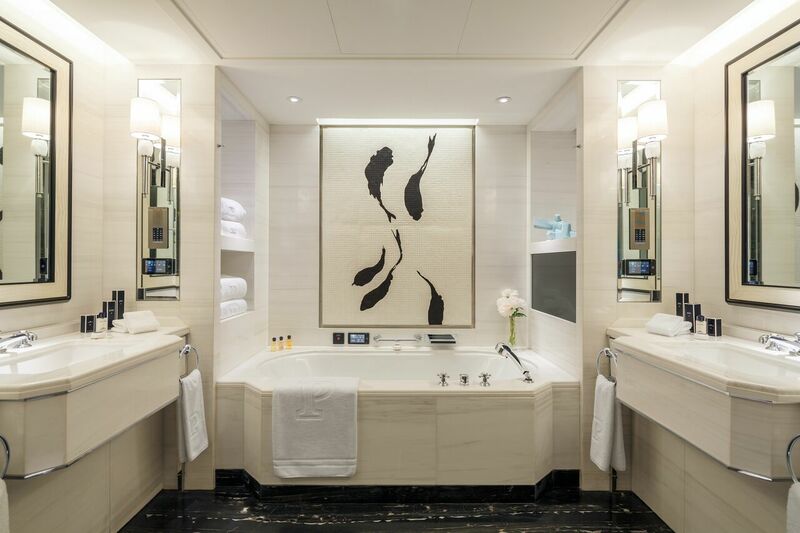 An abstract Chinese calligraphy mosaic above the bath depicts the movements of a goldfish, inspired by the hotel’s address on Goldfish Lane in Beijing. For guests visiting the Chinese capital on business, the new rooms are ideal for both working and relaxing. Innovative “guest room as office” facilities include a printer/scanner and a collection of multi-brand chargers for digital devices to ensure constant connectivity. Complimentary high-speed WiFi makes keeping briefed with colleagues and clients simple, and a portable VoIP phone offers free international calls to connect with family back home. If hunger strikes, the new in-room menu presents a selection of nutritious and healthy dishes to savour while working early or late. The Peninsula Beijing elevates suite stays to a new level of comfort, elegance and sophistication. 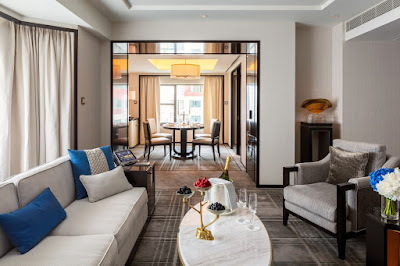 The inspired collection of 61 suites, including a beautifully styled portfolio of theme suites, comprises more than 25 percent of the hotel inventory, the highest percentage of any Peninsula hotel, and among the highest ratio for a luxury hotel in Beijing. For the ultimate in residential living, The Peninsula Suite has been designed as a stylish urban update of the traditional courtyard home of a Chinese aristocrat. Perfect for entertaining, and enhanced by an impressive collection of Chinese antiques and artworks, the palatial 660 sq m suite offers a large dining room seating up to 18 with a separate kitchen, living room, study, private gym and a second guest bedroom. Exclusive access is provided by a private elevator direct from the Lobby, and The Peninsula Suite can also connect to an adjacent guest room to create a three-bedroom suite, making it ideal for a business delegation or multigenerational family group. Combining two original suites to create a modern 165 sq m residence, the 17 re-imagined Beijing Suites feature large living and dining areas, plus an expansive dressing area adjoining the master bedroom. A private cinema room with upholsetered sofas and armchairs offers the possibility of relaxing with the latest movie release or watching an old classic on the 80-inch screen. The study room can be easily converted into a second bedroom for families travelling together. Family guests can also relax together with bespoke in-room amenities and baby products provided through an exclusive partnership with Norwegian baby brand Stokke, adding comfort and convenience for babies, toddlers and parents in a home away from home. Unique to The Peninsula Beijing, the Loft rooms on the top floor of the hotel provide guests with the fashionable ambience of a private urban apartment in the heart of the Chinese capital. The 74 sq m, two-storey room feature floor-to-ceiling windows affording fine views over Beijing from the master bedroom upstairs, and from the entry lobby and living room downstairs. Extending the sofa bed in the living room creates an improvised second bedroom for family guests. • The HSH Group, which is celebrating its 150th anniversary in 2016, has had a long history in China and has been witness to its spectacular transformation into an economic superpower. The company first took over the management of the Grand Hotel des Wagons-Lits in Beijing in 1922, and was later honoured in 1981 by the Chinese Government with an invitation to manage the country’s first ever internationally managed joint-venture hotel, the Jianguo Hotel. 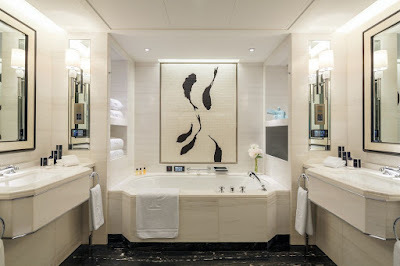 • The Peninsula Beijing was originally designed by pre-eminent architect K.Y. Cheung and opened in 1989 as The Palace Hotel and rebranded as The Peninsula Beijing in 2006. • The Peninsula Arcade was the first luxury shopping arcade in China when it opened in 1990. Louis Vuitton, Chanel and Hermes, opened their flagship China stores here. During June 2016, The Peninsula Arcade is celebrating Legendary Artisans together with The Peninsula Hong Kong and The Peninsula Shanghai. • The RMB890 million (US$123 million) renovation project was conceived in 2012 by celebrated Hong Kong designer Henry Leung of CAP Atelier. 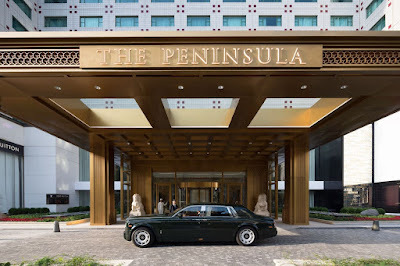 • The inspiration behind the reinvention of The Peninsula Beijing came from the Middle Kingdom’s opulent Imperial palaces and tranquil gardens. • The original 525 rooms and suites have been reduced and reimagined to just 230. Starting at 60 square metres, the guestrooms are now the largest in Beijing and among the most spacious in China. • Luxurious materials such as bronze, onyx (jade), white marble and rosewood (zi tan wood) which featured prominently in the ancient palaces and structures of the Ming and Qing Dynasties - including The Great Wall, The Forbidden City and The Summer Palace - have been extensively used throughout the hotel’s new design, thereby creating a sense of grandeur, elegance and timelessness. • The Peninsula Beijing collaborated with Michael Suh, Executive Director at the Museum of Contemporary Art in Beijing, working in partnership with designer Henry Leung, to incorporate art as part of the new overall hotel design. Guests can enjoy a permanent museum-quality collection of notable art pieces throughout the hotel, including dramatic artwork by Qin Feng, a spectacular spirit wall by Belinda Chow, and Zhang Du’s two bronze sculptures of tea drinkers. 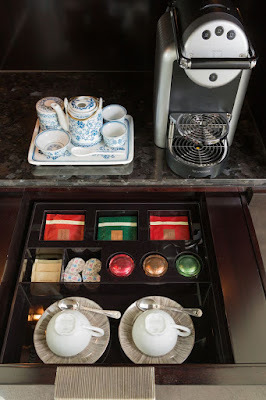 • The Peninsula Beijing offers a 24-hour check-in and check-out service to all of its guests. • Embracing the “farm-to-table” concept, the hotel works directly with 22 farms in China, that supply sustainably produced vegetables, fruit, meat and honey on a fresh, seasonal basis. All are fully certified by either the Chinese or the US Government, and the hotel chefs from each restaurant personally visit every farm on a regular basis to ensure the provenance and quality of the ingredients. • Brand-new dining options are available, including the completely refurbished JING, inspired by a secret Chinese garden, serving sustainable and certified organic ingredients. • Huang Ting has been revitalised in the style of a Beijing nobleman’s traditional courtyard home, with a new tea lounge serving a connoisseur collection of premium Chinese teas.